In 2003, years before anyone else, inov-8 pioneered the Arrow System. 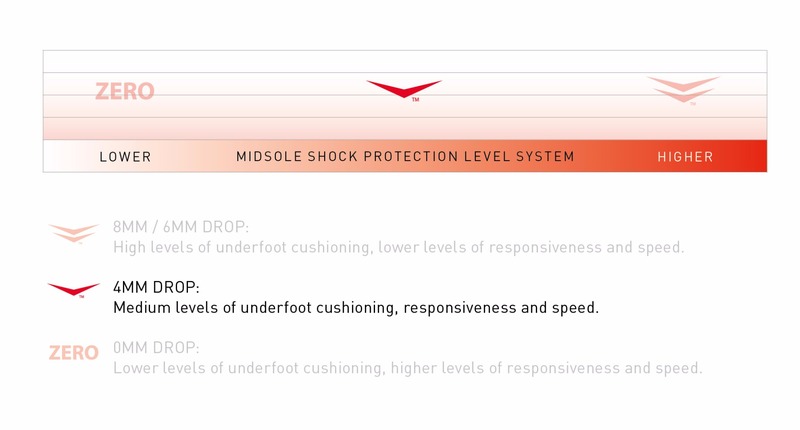 The number of arrows shown on the lower heel of any inov-8 shoe signifies the drop of that shoe. 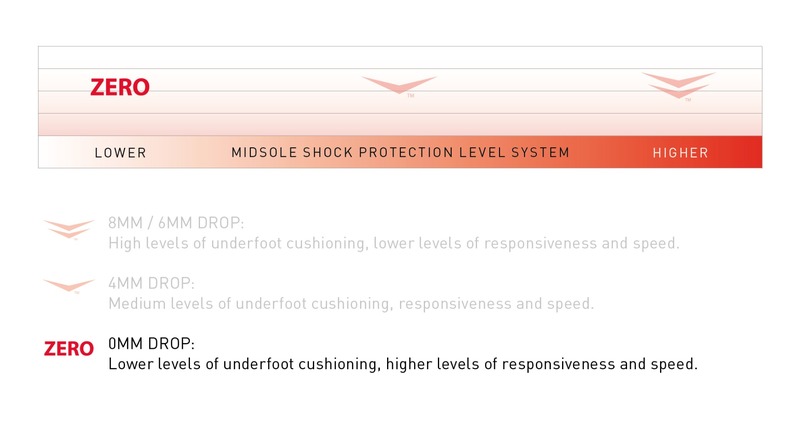 The drop is the heel-to-forefoot differential, measured in mm. More arrows = bigger drop, and increased underfoot cushioning. Fewer arrows = smaller drop, and increased underfoot responsiveness. Increase your speed by lowering the numbers of arrows.